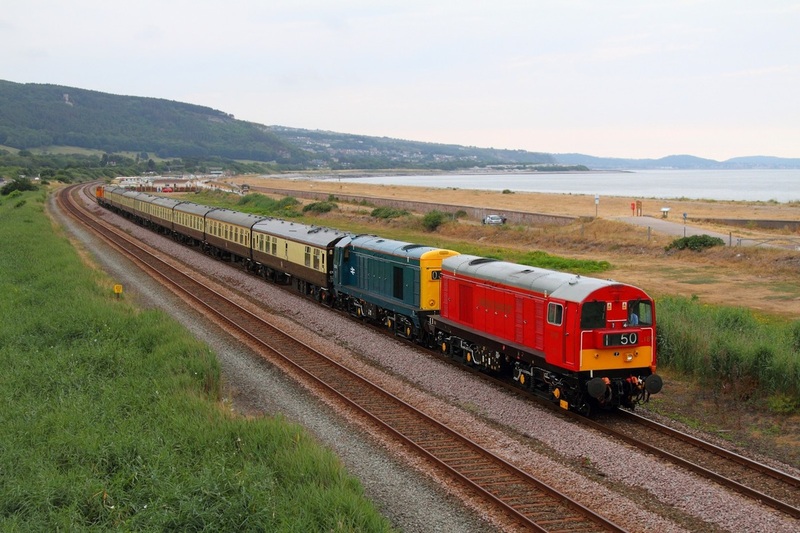 Harry Needle's liveried 20314 leads 20311 top-and-tailed with Br Blue liveried 20142, Underground Red liveried 20189 working the 1Z28 07:50 Cardiff Central to Llandudno GBRF Private charter at Abergele on the 27th July 2013. 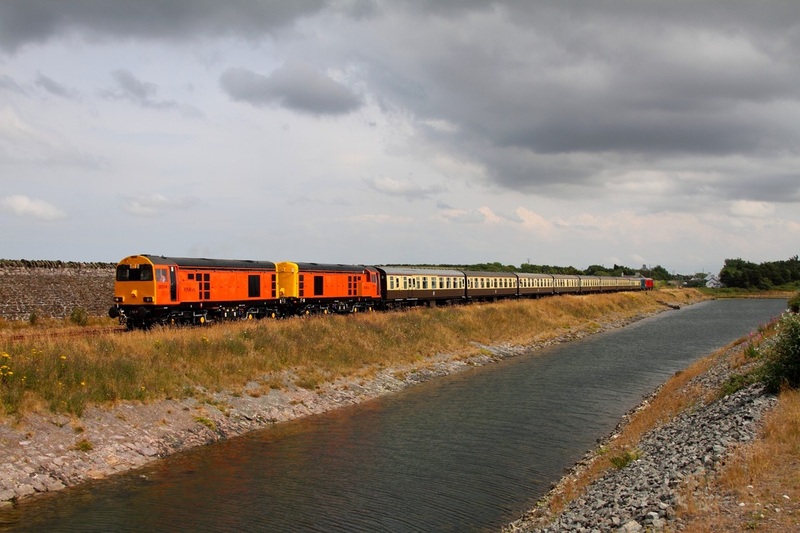 66739 worked the train from the Welsh Capital to Crewe where the class '20s' took over. The '20s' worked the private charter to Llandudno and return and a public charter from Llandudno to Holyhead and return. 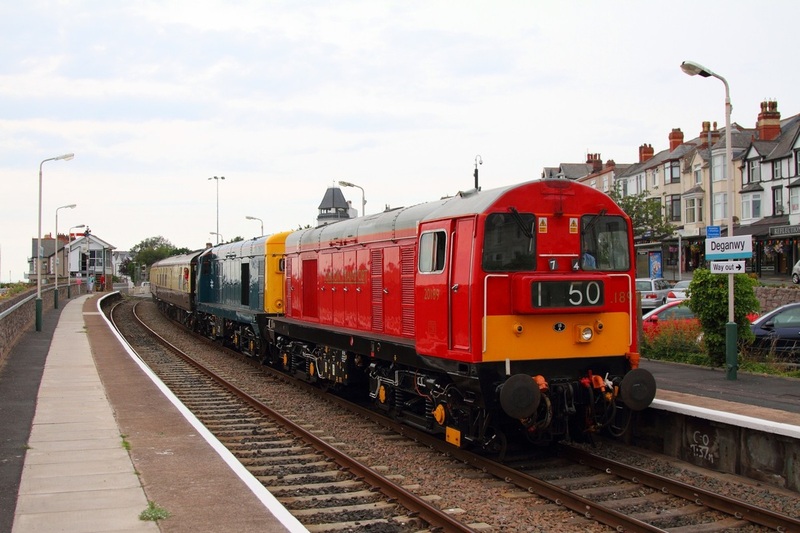 The HNRC '20s' came off at Crewe and 20142/189 worked to Cardiff Central. 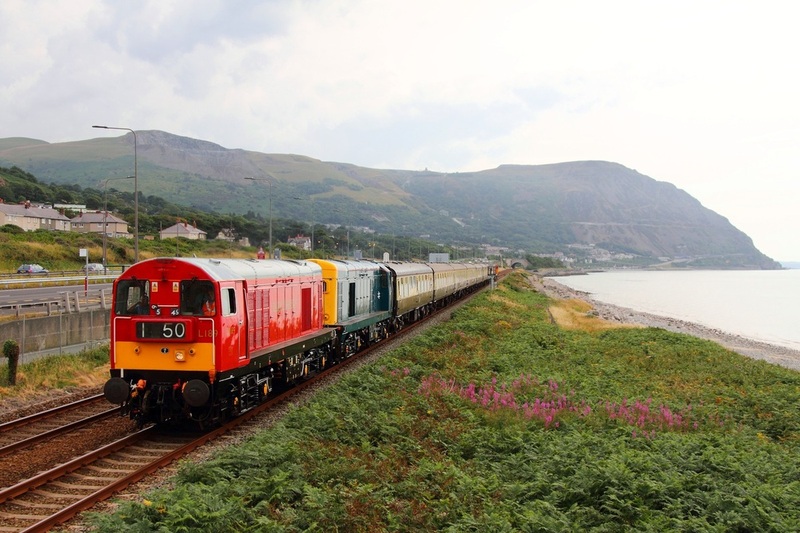 HNRC 20314 leads 20311 tnt 20142, 20189 on the 1Z29 13:25 Llandudno to Holyhead (14:35) at Penmaenmawr GBRF public charter on the 27th July 2013. HNRC 20314 leads 20311 tnt Br Blue 20142, Underground Red liveried 20189 on the 1Z29 Llandudno to Holyhead GBRf public charter at Valley on the 27th July 2013. 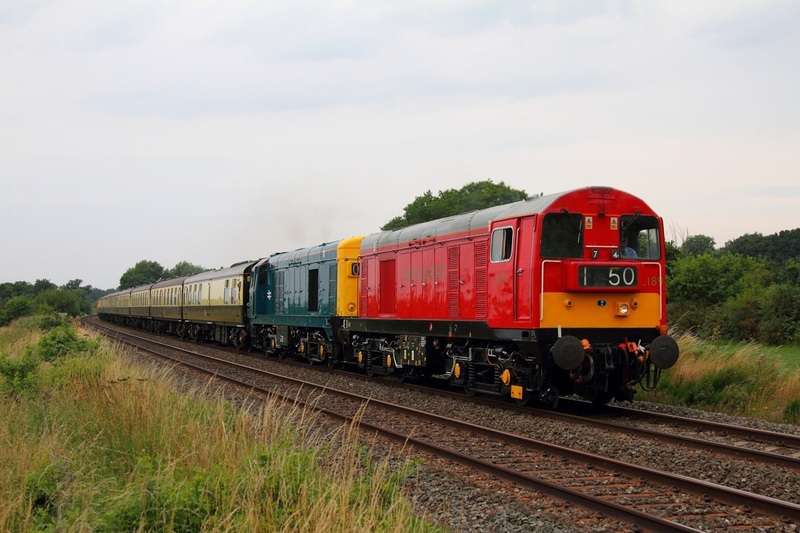 Underground Red liveried 20189 leads Br Blue 20142 leads HNRC 20311, 20314 on the 1Z30 15:44 Holyhead to Llandudno GBRF public charter at Valley on the 27th July 2013. 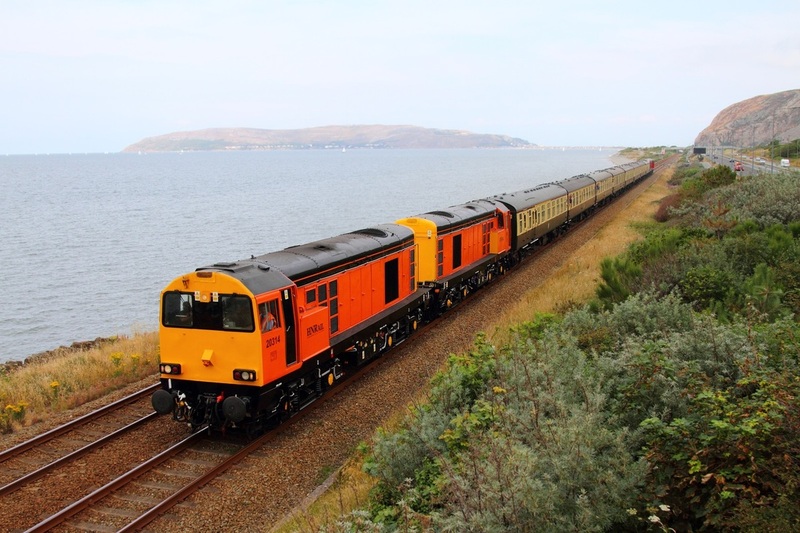 Underground Red liveried 20189 leads Br Blue 20142 leads HNRC 20311, 20314 on the 1Z30 15:44 Holyhead to Llandudno GBRF public charter at Penmaenmawr on the 27th July 2013. 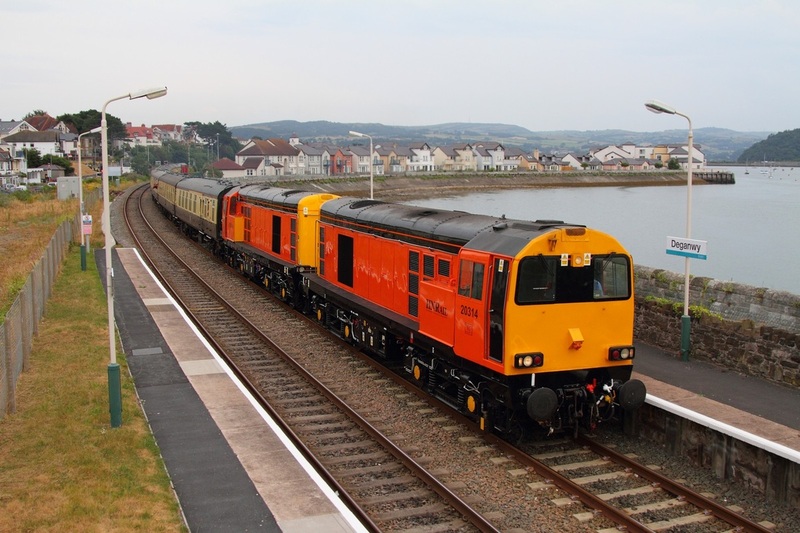 HNRC 20314 leads 20311 tnt Br Blue liveried 20142, Underground Red liveried 20189 on the 1Z30 15:44 Holyhead to Llandudno at Deganwy after reversing at Llandudno junction on the 27th July 2013. Underground Red liveried 20189 leads Br Blue 20142 tnt HNRC 20311, 20314 on the 1Z31 16:57 Llandudno to Cardiff Central GBRf private charter at Deganwy south of Llandudno on the 27th July 2013. 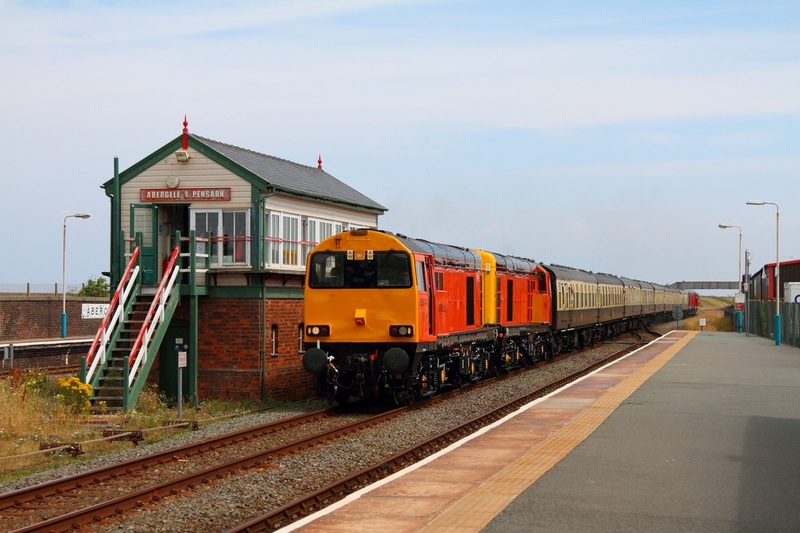 1Z31 16:57 Llandudno to Cardiff Central GBRf private charter at Abergele on the 27th July 2013. Underground Red liveried 20189 leads Br Blue 20142 tnt HNRC 20311, 20314 on the 1Z31 16:57 Llandudno to Cardiff Central GBRf private charter at Rowton on the 27th July 2013.